Contemporary Ireland is undergoing a radical shift in its sense of national identity, as the traditional narratives that shaped its past have come under intense scrutiny. The essays gathered here investigate the impact of different forms of education on Irish culture, society, politics, religion and economic success. While education for the knowledge economy has been prioritized across funding agendas, this book focuses on exploring education as a transformative enterprise that supports the personal and intellectual development of the learner. The volume brings together diverse perspectives on the role of education in the areas of leadership, social justice and service in the community. 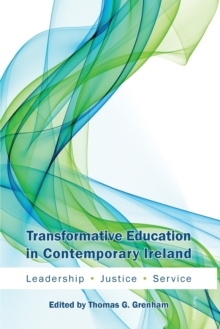 Challenging the current prioritization of a vision of education that primarily serves the interests of the economy, the contributors explore the social, political and personal value of transformative education.